April 2016: Gujarat-cadre IPS officer Rakesh Asthana appointed additional director of CBI. 3 December: Asthana made interim CBI director after retirement of then chief Anil Sinha. 19 January, 2017: Alok Verma appointed CBI chief for a tenure of two years. 22 October: CBI appoints Asthana special director. 2 November: Advocate Prashant Bhushan moves Supreme Court on behalf of NGO, Common Cause, challenging Asthana's appointment. 28 November: Supreme Court dismisses the petition. 12 July, 2018: While Verma was abroad, CVC calls meeting to discuss promotions, seeks to know who will attend it. CBI responds Asthana has no mandate to represent Verma. 24 August: Asthana complains to cabinet secretary, alleging misconduct by Verma. Matter referred to CVC. 21 September: CBI tells CVC Asthana was facing probe in six cases of corruption. 15 October: CBI lodges FIR with bribery allegations against Asthana, Deputy Superintendent of Police Devender Kumar, Dubai-based investment banker Manoj Prasad and his brother Somesh Prasad. 16 October: CBI arrests middleman Manoj Prasad. 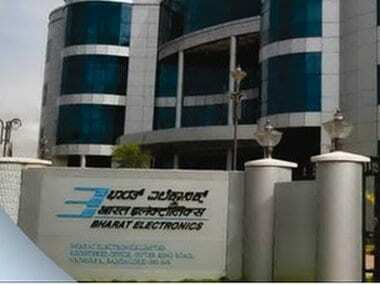 20 October: CBI raids Kumar's residence and office at its headquarters, claims to have seized his mobile phones and iPads. 22 October: CBI arrests Kumar, alleging he "fabricated the statement" of businessman Sathish Sana, facing probe in a case involving meat exporter Moin Qureshi and had paid bribes to get relief. 23 October: Kumar moves high court seeking quashing of FIR against him. Hours later, Asthana too moves high court seeking quashing of FIR against him and direction to CBI not to take coercive steps against him. Delhi High Court orders status quo regarding Asthana, seeks response of CBI, Verma on both pleas. Late night, DoPT divests Verma of all his statutory obligations, appoints M Nageswara Rao interim CBI chief. 24 October: Verma moves Supreme Court against government order. 25 October: NGO Common Cause files PIL in Supreme Court, seeking SIT probe into allegations of corruption against CBI officials including Asthana. 26 October: Supreme Court directs CVC to complete inquiry into complaint against Verma in two weeks, seeks response of CVC and Centre on Verma's plea challenging the government order. The court directs Rao to not take major or policy decisions, to file in sealed cover his decisions taken till now. Supreme Court notice to Centre, CBI, CVC, Asthana, Verma and Rao on NGO's plea. 30 October: Supreme Court directs Hyderabad police to provide adequate security to businessman Satish Sana, complainant against Asthana. CBI deputy SP AK Bassi, former probe officer in alleged corruption case against Asthana, moves Supreme Court against his transfer. 31 October: CBI additional superintendent of police SS Gurm approaches high court against Asthana. 1 November: FIR against Asthana shows cognisable offences, CBI tells high court. CBI, Asthana oppose in high court Gurm's plea to be heard in the matter. 12 November: CVC files preliminary probe report in sealed cover in Supreme Court. 18 November: Dy SP Ashwini Gupta moves Supreme Court challenging his repatriation to Intelligence Bureau. 19 November: CBI officer, probing the FIR lodged against Asthana, moves Supreme Court seeking quashing of his transfer to Nagpur. 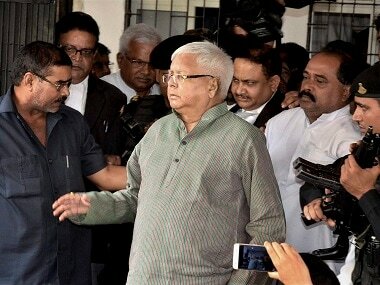 27 November: Trial court extends middleman's judicial custody till 11 December. 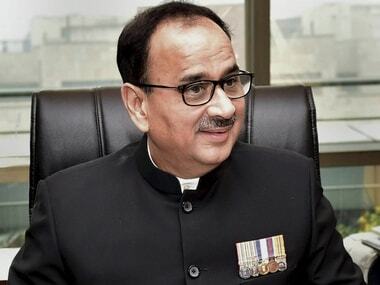 29 November: Alok Verma tells Supreme Court his fixed tenure of two years as CBI chief cannot be altered. 5 December: Fight between two top CBI officers exposed agency to ridicule, Centre tells Supreme Court. 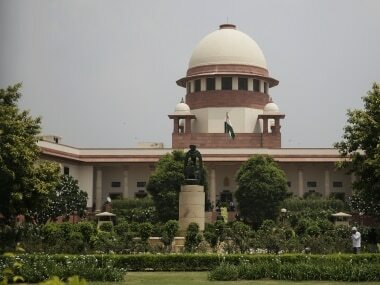 8 January, 2019: Supreme Court sets aside Centre's decision divesting Verma of his powers and sending him on leave, restrains him from taking policy decisions.